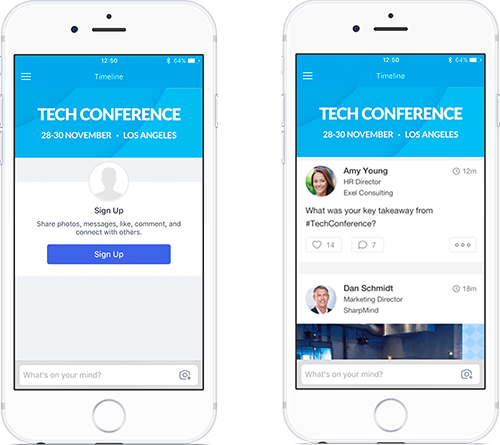 The Activity Stream is the first thing your attendees will see when they open the app on their device. It's a place where your attendees can interact: post their photos, messages, comments and likes, vote in Polls and check out sponsored posts. With the help of the Activity Stream feature you can create an exciting event experience. 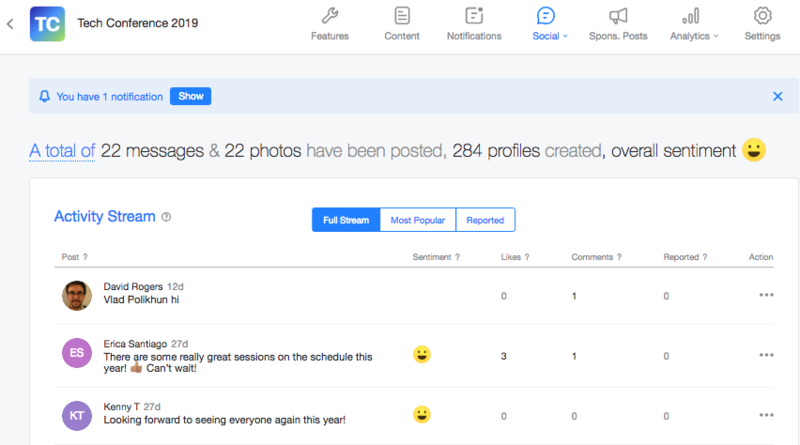 You'll be able to see and moderate content on the Activity Stream. The stats on the total number of messages and photos posted are available on your dashboard. Please note, that deleted content can't be restored or added back to the Activity Stream.